With an eye bath, a person's eye can be rinsed out after coming in contact with foreign bodies or chemicals, thus preventing corresponding damage to the eye. 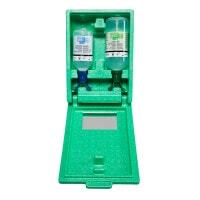 In our online shop, you will find the proper eye wash bottles and eye wash stations for use at the work place or facilities with increased risk. 52,50 EUR* Not ready for shipping. Reserve today and we will ship as soon as possible. 72,80 EUR* Not ready for shipping. Reserve today and we will ship as soon as possible. The eye bath is a first aid measure that is always used when foreign bodies or chemicals come in contact with the eye. Therefore, eye baths, eye wash bottles or eye wash stations are found in all areas, where the eye is at risk of coming in contact with dangerous substances, such as laboratories or pharmaceutical facilities. 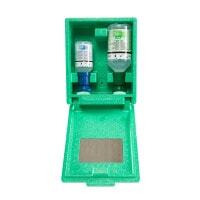 The eye wash solution is sterile so as to prevent bacteria or viruses from entering the eye via the rinsing solution. 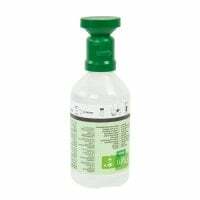 Often, the eye wash bottle is fitted with a special applicator, which ensures that the solution can be easily directed to the eye. The rinse time is indicated by the manufacturer and respective product. 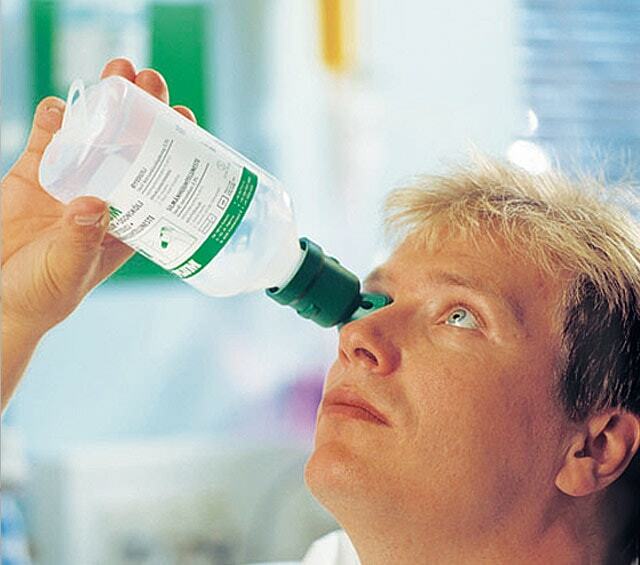 After opening the bottle, the solution may only be used one time, which prevents germs from getting into the solution. 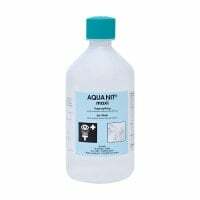 Various types of eye wash solution is used, depending on whether the purpose is for rinsing out chemicals or removing foreign bodies from the eye. 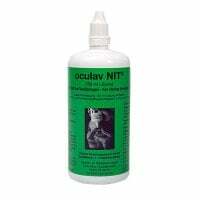 For example, the 0.9% Natrium-chloride solution is excellent for removing dust, dirt or splinters from the eye, as the natural sodium content matches that of the eye. However, the natrium-chloride solution is not suited for rinsing out acids or lyes. 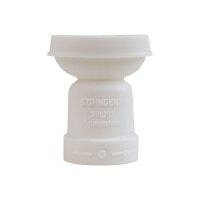 So called Puffer solution is used for this purpose as it is able to bind to and neutralise the chemicals. Depending on which substances are being worked with, the work place should absolutely have the proper eye wash on hand. In order to provide quick access to the eye wash solution, these stations should be placed in a central location and indicated with a sign, if possible. 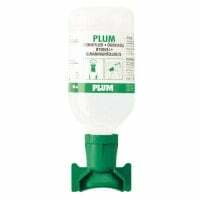 In our online shop, you can purchase from a nice selection of affordable eye washes from Plum and Söhngen - from eye wash bottles up to eye wash stations with the proper wall brackets.